We're in Mexico City, and go right to the ring for our opening match! I didn't catch exactly who the last member of the lucha team is the hihjo del, but Laredo (who you might remember teaming in Impact with Garza Jr a year or two ago) starts out with Dave Crist. Then Dave gets knocked to the floor, and Jake comes in and drills Laredo with a series of kicks. Laredo goes out, and...well, you know the drill, everyone takes turns coming in, hitting spots, then leaving. After that, we go right to everyone taking turns hitting spots to the outside. We head back into the ring and oVe traps Laredo in their half of the ring. He makes a tag and the lucha guys all start doing lucha flippy stuff. oVe comes back with the All-Seeing Eye and get a triple cover for the win. Rich Swann runs into Matt Sydal backstage, and Sydal asks him one more time to listen to him because he believes in Swann more than anyone in this locker room does, and he wants to show him the way. He received a divine intervention tonight, and I think he says in Spanish something about opening his third eye. Anyway, Sydal says they're going to be tag team partners tonight, and Swann isn't happy about it, and Sydal says it's against Pentagon Jr and Fenix. Swann says he doesn't care about the universe and third eyes, but that's a good match, and he hopes Sydal can keep up. A female Mexican wrestler I don't recognize gets in Tessa Blanchard's face and gets mad at her for disrespecting people. Tessa blows her off and leaves. Drake jumps Lee before the bell and stomps him out in the corner. Lee turns the tide, sends Drake to the floor, tries the apron punt, but Drake catches his boot and sweeps him onto his face. Back into the ring, where Drake chokes Lee on the middle rope, then Lee gives him a Hot Shot and covers for 2. Drake flattens him with a hard clothesline, then yanks him down by the hair, pulls him up, and hits a pop-up powerslam. Drake goes for the Gravy Train, but Lee slips out and gets a schoolboy with a handful of tights for 2. Gravy Train connects on the second attempt, and that's all she wrote. Good match, though I think it would have really helped Lee to go over here. The guy's a hell of a talent and has been spinning his wheels forever. The OGz are backstage and Homicide is talking about doing business here and getting out, and Kingston says they need to get those LAX marks (his words) to break the cease fire, because they're weak in the mind. King says they have the night off, because he's getting into the ring, and he's not going to do armdrags or any space flying gimmicks, he's gonna show the LAX marks what happens when he gets in the ring. King goes to shake Krotus' hand, and the OGz lay him out from behind and work him over. They get out of the ring and the bell rings, and King drills Krotus with a spinning backfist for 3. King gets the mic after the match and calls Konnan and LAX out, and tells them to forget about the old men and the cease fire and to just come out here in front of their people. They don't show, so King says he knew they didn't have the cajones. We go back to the remote LAX clubhouse where Santana is saying he's tired of standing by and watching the OGz to walk all over the reputation Konnan built. He asks "Carlos" what they're going to do, and Konnan stands up and asks if they think he's blind, because he's been beat up, stabbed shot, set on fire, kidnapped, and left for dead, and they better not tell him how to run his business. He showed those three hos how to run their business, and he's not going to break the cease fire, and if Santana and Ortiz do, they're going to find out that these guys don't play, and we'll find out what happens if they do. They'll get a drum of acid, and they'll all disappear, no trace. They're going to wait until Bound For Glory and take it to the concrete jungle. The announcers inform us that Faby is a member of a lucha dynasty, and she proceeds to work Alisha over and control her on the mat. They trade strikes, and that ends badly for Alisha. Faby with a Mexican surfboard, then flips Alisha forward onto her face. Alisha finally catches Faby with a Frankensteiner, and a victory roll gets 2. Faby drills Alisha with a superkick to the face for 2, but Alisha winds around her into a royal octopus hold, and Faby quickly stumbles into the ropes to force a break. Alisha with a running clothesline and a flatliner for 2. Alisha hits a top rope crossbody, but rolls right off of her, and Faby quickly follows up with a hard clothesline and an even harder sitout powerbomb for the win. Good match, and I would not want to fight Faby Apache. Josh gets into the ring with Faby to ask her about the match and also what we saw earlier with Tessa Blanchard. Faby says a bunch of stuff in Spanish, which the translator helpfully informs us amounted to "I have wrestled all over the world, and I want to take on Tessa Blanchard next week." McKenzie is backstage with Texano, and he knows Austin Aries has men backing him up, but he has his partners too: his fists, and when he has that title, he's going to ride off into the sunset. Scarlett Bordeaux is backstage to let us know that she has a huge announcement next week that we won't want to miss. Fenix and Swann start us off doing flippy dippy stuff, and end at a stalemate. Sydal and Pentagon tag in and argue over Zero Fear and Third Eye. Pentagon finally has enough and spinkicks Sydal, then kicks him in the ribs when he tries a handstand something. Los Hermanos De Lucha hit a series of slick double teams on Sydal, then Swann, and a powerbomb double stomp combo gets Swann down for 2. Fenix superkicks Sydal, then a wheelbarrow splash onto Sydal gets another 2. Sydal and Pentagon trade chops, then Sydal connects with a superkick for 2. Pentagon is in trouble in the Swann/Sydal corner, but that only lasts momentarily until he makes the hot tag, and then we go to house cleaning mode. Fenix takes everyone out with a dive to the floor, then sends Swann back inside. Swann turns it around and hits a dive as we go to commercial. We come back just as Sydal counters a flying headscissors to a powerbomb on Fenix. Fenix comes right back with a step up spinkick, but the Sydal drills him with a sweet kneelift. Tag to Swann, and now all four men are in the ring. Double super Frankensteiners on the Lucha Brothers for stereo 2 counts. The Lucha Brothers turn it around as Pentagon gives Sydal the package piledriver on the apron, then Fenix hits a version of the cradle shock driver for a mesy blown finish that looked like a 2 count but appears to have been edited to cover the finish. oVe comes out and surrounds the ring, but Brian Cage comes out to join his friends and runs oVe off. McKenzie is backstage with Austin Aries and his crew, and Aries points out that El Texano means The Texan, and he's facing him here in Mexico because he's already run everyone else off. He's the World Champion for a reason, and Texano is no joke, he's the real deal, and he's trying to fill his father's boots, but he's not going to do it at his expense, because he's the best in the world at what he does. Aries and Kross leave, and Moose takes a selfie with McKenzie. The Desi Arnaz Hit Squad is backstage getting massages and celebrating the fact that they earned a non-title match against LAX, then Gama comes in with a mop and chases the massage artistes off. He chews the Babalu Boyz out and forces them to practice their Greco-Roman pummeling, then stops that and has them just beat each other up. He then stops that and shakes their hands and wishes them luck. Joe Hendry has a new music video putting Grado over for being his best friend and condemning Katarina for trying to get between them. I'll bet money Katarina p-whips Grado into turning on Hendry. The GWN flashback takes us to Chris Sabin, Michael Shane, and Petey Williams in an Ultimate X match from years ago. We see a video package looking at the history between Allie, Su Yung, and Tessa Blanchard. Josh and Don talk about stuff, then they announce that the next inductee into the Impact Hall of Fame will be...Abyss! Great choice. We see a video package looking back at his career, and they really did a great job of encapsulating his importance to the company. And with that, it's... MAIN EVENT TIME! Feeling out process to start, Texano takes Aries down and does the headscissors, and Aries does his escape and dropkicks Texano in the face. Texano takes a long count on the floor while Aries looks pleased with himself. Texano comes back in and does some lucha flippy before taking Aries out with a boot to the face and a slingshot elbowdrop. Aries takes him down and goes for his slingshot senton, but Texano gets the knees up. Aries goes to the floor and Texano goes after him, and we go to commercial. We're back, and Aries is in control, working Texano over in the ring and raking his back. Texano returns the favor with some back rakes of his own, then gets a leaping leg lariat for 2. Aries bails to the floor for a break, and his entourage escorts him around the ring, where Aries grabs Texano's bullrope on his way back into the ring. The ref takes it away and Aries grabs the title belt when the ref's back is turned, but the ref catches him and takes that away too. Now Texano has the rope while the ref's back is turned, and he superkicks the champ, whips him with his bullrope, and covers him for 2. Aries gets a brainbuster out of nowhere for 3. Match was okay. 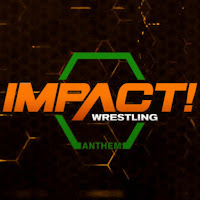 Johnny Impact appears on the screen from Los Angeles to talk about the injuries Aries and his men inflicted on him, and his title shot is in jeopardy. But he'll heal up, and he'll be back sooner rather than later. Aries gets a mic and says he's not stupid, he knows Johnny is really here somewhere, and he sends Moose and Kross out into the crowd to look at him. While they're out there, Johnny Impact runs out of the back and attacks Aries, unloading with right hands before superkicking Kross and then Moose, then going back after Aries. Impact has his Zubaz on! Nice! Aries regroups on the floor with Kross and Moose, and suddenly Eddie Edwards comes out of nowhere and starts attacking them with a kendo stick, then gets into the ring to celebrate with Impact as we call it a night.